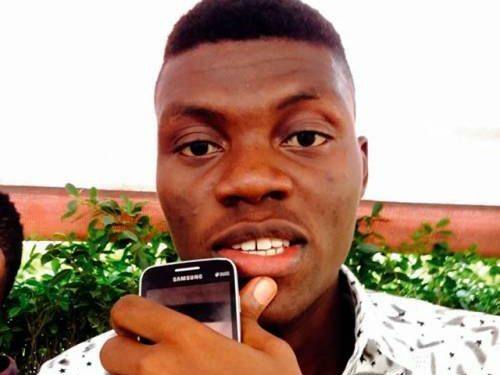 Reports reaching us indicates that rusticated student activist of the University of Lagos (UNILAG), Adeyeye Olorunfemi and three (3) other students of the institution, namely: Tomi Aina, Olufela and Lateef Olawale were arrested on Wednesday, September 20 and later handed over to the police at the Sabo Police Station, Akoka, Lagos State. We understand that they were arrested in the evening of Wednesday, September 20, by security officers at UNILAG immediately after the Executive Committee meeting of the Alliance of Nigerian Students Against Neo-Liberal Attacks (ANSA) held at the university campus to strategize for the upcoming ‘One Million Man March’ slated for October 1, 2016 in Lagos to demand the reinstatement of the 11 students of the University of Lagos; 25 students of the Adekunle Ajasin University, and 2 students of the Obafemi Awolowo University who were all rusticated over their involvement in student unionism. Information available to us also suggest that the detained UNILAG students were severely beaten, tortured, and brutalized by the UNILAG security officers before they were handed over to the Nigeria Police Force, Sabo Police Station, Akoka in the morning of Thursday, September 21. The UNILAG Management should refrain from its arbitrary, tyrannical and oppressive methods of addressing legitimate student grievances and adopt a democratic, civil and sensible approach in engaging aggrieved students. We call on UNILAG, Adekunle Ajasin University and the Obafemi Awolowo to reinstate the affected students for them to continue with their studies and make pragmatic efforts to improve learning conditions on their campuses. The police should desist from further harassment of student activists of the University of Lagos and other tertiary institutions and respect their constitutional rights to freedom of expression, association and peaceful assembly as enshrined in Sections 39 and 40 of the Constitution of the Federal Republic of Nigeria 1999 (as amended), respectively. The Nigerian people, including students, have the constitutional right to hold peaceful assembly, association, rallies and demonstrations without police permit as enunciated by the Court of Appeal in the celebrated case of Inspector General of Police v. All Nigeria Peoples Party (2007) 11 NWLR (pt. 1066) 457.